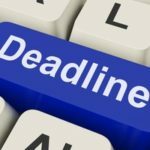 Reminder: if you requested an extension earlier this year, your new filing deadline, October 15th, is fast approaching!. If you haven’t taken care of your 2017 taxes yet it’s time to get that task back on your radar. 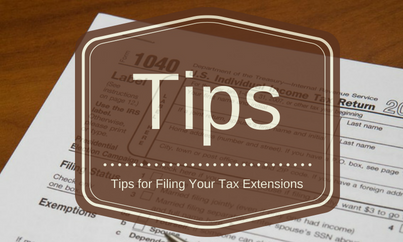 In light of the looming deadline, we wanted to take a moment to share these tips for extension filers. Many of our clients file extensions because they can’t get the paperwork they need quickly enough to file an accurate return by April 15th. If this is the boat you’re in wanting to wait seems intuitive, but you can’t always do it and meet the deadline as well. When you don’t file on time, you open yourself up to failure-to-file penalties. When this happens, file a return, even if it’s not going to be 100% accurate. A new clock will start ticking. You’ll have 3 years to file amended returns, which will give you plenty of time to get the rest of the paperwork you need. Of course, we don’t recommend waiting all three years to get the amended returns handled. Consider a last-minute SEP-IRA contribution. Self-employed? The good news about filing an extension is you get another chance to make a last-minute deduction. You have until October 15th to contribute just a little more to your SEP-IRA, the retirement savings account type designed just for freelancers and contractors. Consult with us about the amount which will give you the biggest benefit, then get it done. Be sure to use a check so you can write the year the contribution should be credited under on the check, and keep a copy for your records. See also: 7 Common Tax Problems the Self-Employed Business Owner Should Avoid. Get our help now…not in October. When you file for an extension you can take care of your taxes any time between April 15th and October 15th. In fact, we recommend it. The point is getting some additional time, not giving yourself another stressful day to scramble over. Waiting until the last minute makes it easy to make mistakes, too. In fact, if you’re using our accounting services to get your returns filed (and, if you’re the type of taxpayer who needs an extension, you really should be using us)… the time is right now to do so! Some of our clients have even tighter deadline to deal with, and/or hire us for bookkeeping and payroll, so by mid-September we’ll be up to our elbows in returns. If you’re a new client we might not even be able to squeeze you in if you wait too long. And if you’re an existing client, wouldn’t it feel better to know your taxes are taken care of?